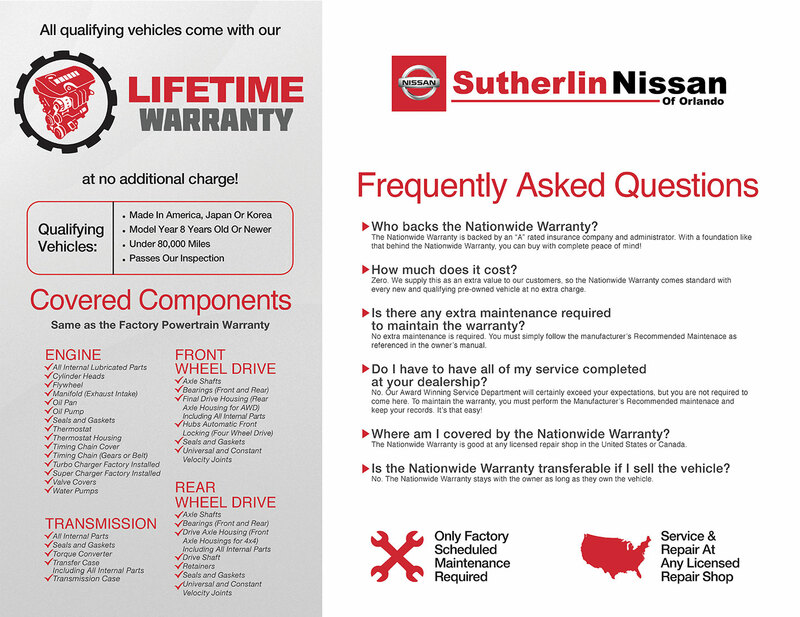 Sutherlin Nissan of Orlando is proud to offer motorists a personalized service experience. Every time you visit our dealership, you can expect excellence. We offer this exclusive Lifetime Warranty that costs drivers zero dollars and covers the engine, front wheel drive, transmission, and rear wheel drive.